Home NewsFirst Place in PWPC Wedding Ceremony Category! 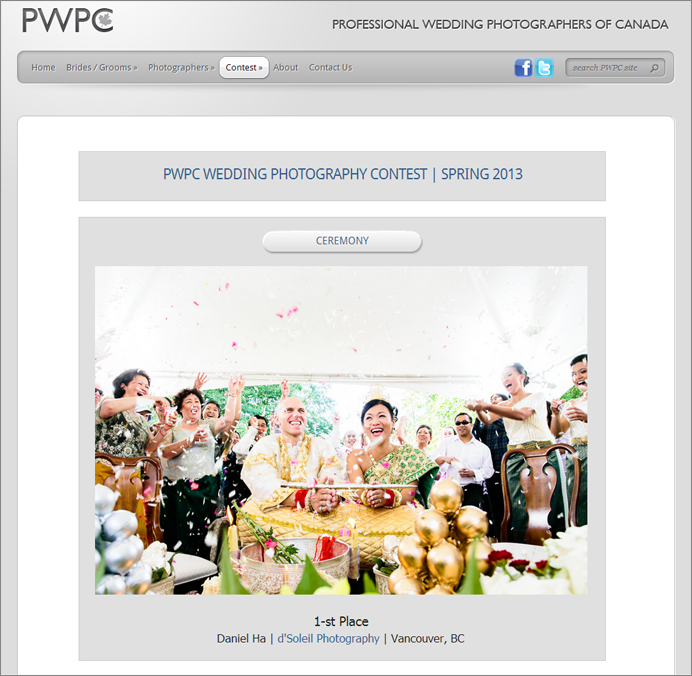 First Place in PWPC Wedding Ceremony Category! Last week, we had one of our photos win a 1st place award in the Professional Wedding Photographers of Canada Spring 2013 Photo Contest. The photo from Serey and Marcus’ Khmer wedding won 1st place in the wedding ceremony category. It definitely one of our favorite moments captured last year and we’re so proud to have this photo recognized in a national contest.